Last Thursday, Finley + Penelope's school had their first annual Fine Art Walk and it kicked off with the Volunteer Tea while the girls were at soccer practice with Greg. At the volunteer tea, we got flowers, a thank you paper mug and some cake and loaves. It was really quite sweet. 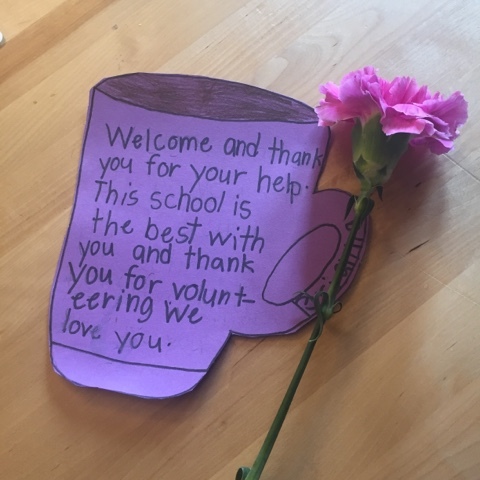 I really like the staff and fellow parents at this school and are happy that they are doing their best to make it a great experience for not just my girls but all the students in general. It's a great group to be a part of for sure. After the tea, I went back home and waited for Greg and the girls to be finished soccer. The plan was to meet them back there because the girls wanted to walk through it with both of us. I ended up doing it twice haha. The nice thing about going after soccer was that it was so quiet and less busy because they were all watching the concert in the gym or they had gone home. It made it much nicer for us viewing all the exhibits. 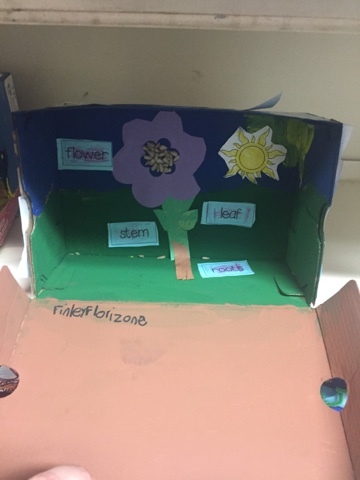 This was the kindergarten's class contribution to the art walk. I actually volunteered the day we did these and it was pretty fun. I loved all the little things they added to make it even cuter. 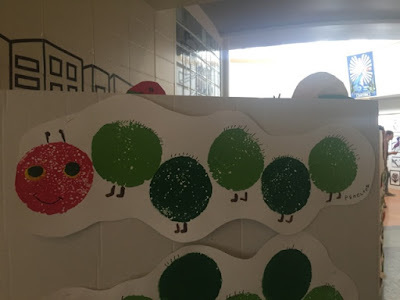 Their theme was The Hungry Caterpillar by Eric Carle. This is Penelope's above and it turned out so awesome! 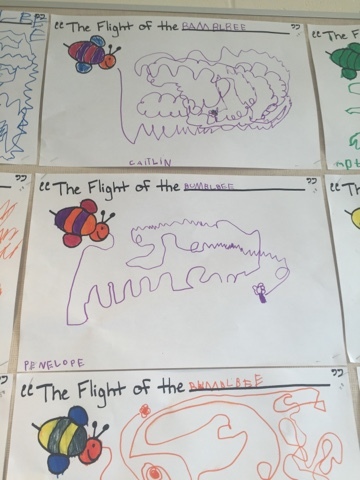 This was also Penelope's take on The Flight of The Bumblebee. Apparently it is a song but I have never heard of it which really annoyed Penelope for some reason! 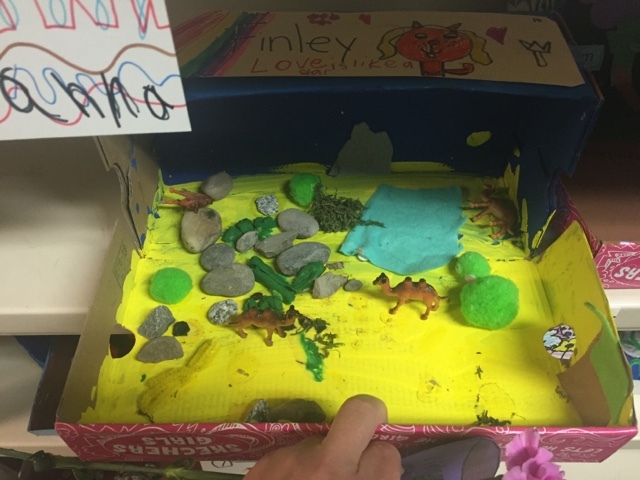 Finley's class had 2 contributions to the Art Walk and both were dioramas. 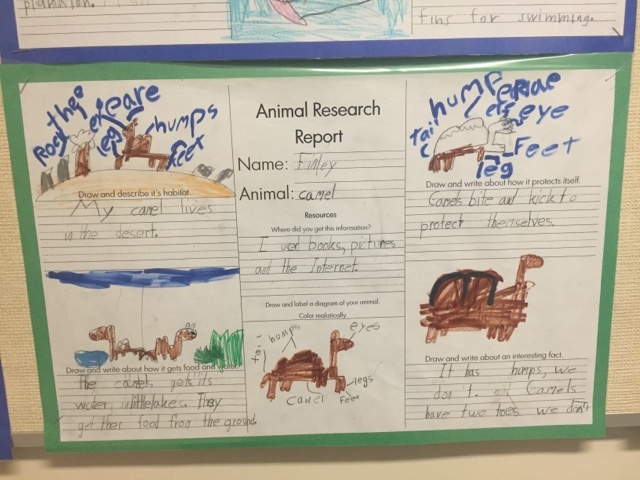 The first one was inspired by their favourite animal and Finley's has always been a camel. Her diorama turned out fantastic and I must say that there were some really well done ones by her classmates. This is her flower one that turned out really well!! Special thanks to Michelle for the shoe boxes hahaha. This was her book report on camels that she did. Her love for camels knows no boundaries and I love that she loves them. It's not often that you hear that a favourite animal is a camel! Outside of my kids, this was my favourite. 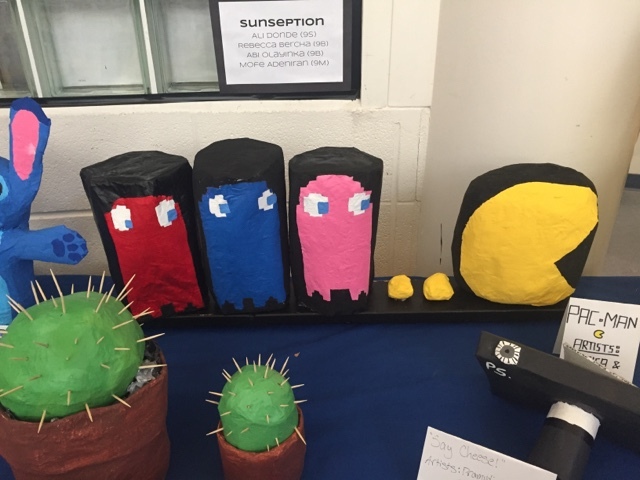 It was Pac-Man made out of paper mache. It turned out really good and I was surprised that kids these days even know who Pac-Man is. But really, in all honesty, the level of talent at this school is phenomenal. Eveyrthing was so well done and fantastic. I really hope that they make this an annual event.